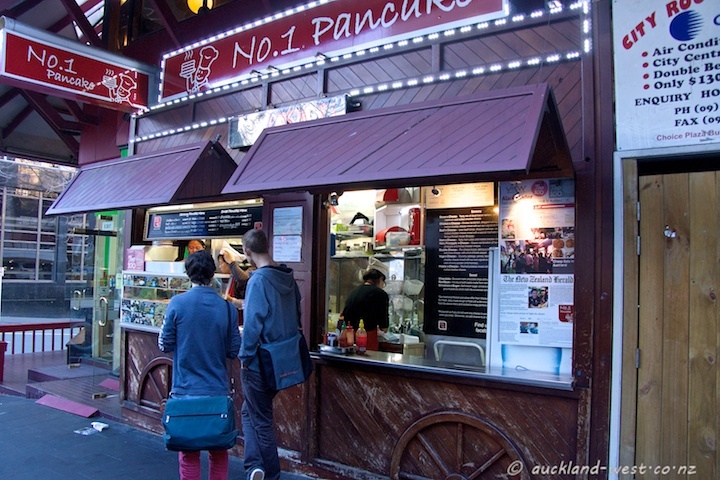 The City Daily Photo theme for August is “Takeaway Store”. Click here for pictures from all over the world interpreting the theme. This is a popular spot for a quick and inexpensive bite. Most of the time there are a few people standing, waiting for their pancake to be prepared in front of them. Tucked into the narrowest of nooks by the corner of Lorne and Wellesley Streets. 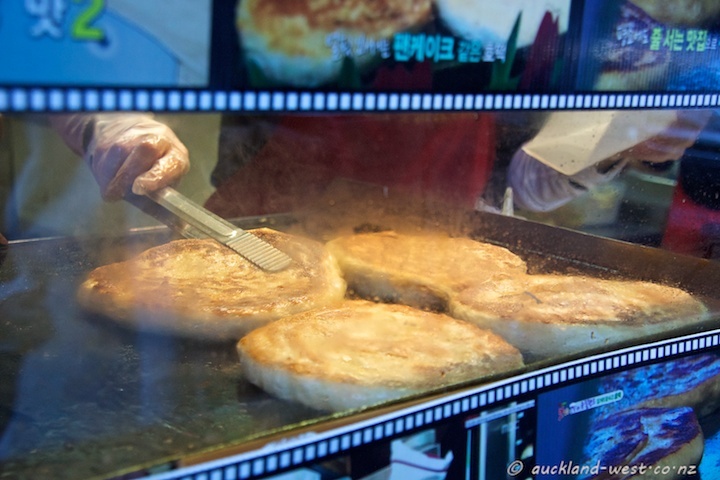 These are Korean pancakes, sweet as well as savoury. Facebook.